His research and clinical practice focuses on the diagnosis and treatment of childhood seizures and epilepsy, particularly treatments other than medications such as diet, neurostimulation and surgery. Currently the Medical Director of the Ketogenic Diet Center at Johns Hopkins, he is a world expert on the ketogenic diet and created the modified Atkins diet for children and adults in 2003. He is dedicated to bringing the use of diet therapies for neurologic disorders to the entire world and is the head of a Task Force within the International League Against Epilepsy to help achieve this goal. He is a coauthor of The Ketogenic and Modified Atkins Diets: Treatments for Epilepsy and Other Disorders, now in its 6th edition. 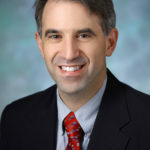 Dr. Kossoff is also published in the fields of Sturge-Weber syndrome, migraine and epilepsy, infantile spasms, Doose syndrome, and benign rolandic epilepsy. For most children with epilepsy, medications are the primary treatment modality and provide good seizure control in over half of the children. However, more than 25 percent of children with epilepsy have either difficult-to-control seizures despite medications or suffer treatment-limiting side effects. Only a limited number of these children are candidates for surgical therapy to cure their epilepsy and their caregivers look for other options. Neurostimulation (vagus nerve stimulation or VNS) is one choice. Dietary therapy is another. Early studies showed the ketogenic diet had great promise and it was widely used for children as well as adults in the 1930s. However, a decline in its use occurred over many years when researchers turned their attention to the development of new medications. The ketogenic diet was also perceived as expensive, difficult-to-maintain, and less “modern” in many ways when compared to drugs . In the mid-1990s, the ketogenic diet began to receive national media with the creation of the Charlie Foundation (www.charliefoundation.org). 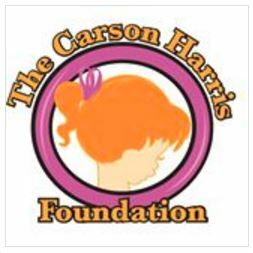 Started in 1994 by a parent (Jim Abrahams), whose son’s epilepsy was successfully treated with the diet, the Charlie Foundation’s advocacy led to significant research and use in the decades since. In 2008, two randomized, controlled studies (one double-blinded) were published demonstrating that the ketogenic diet controlled seizures. In addition, a consensus statement from 26 dietitians and neurologists at worldwide ketogenic diet centers was published in Epilepsia to help guide clinical management of ketogenic diet patients. Lastly, the first international biannual ketogenic diet conference was held in Phoenix, Arizona to bring together researchers and clinicians. This conference has continued every other year. The diet is a high fat, low carbohydrate, adequate protein change in lifestyle for children who start it. It is calculated by a trained dietitian who uses a computer program to create recipes and meals for an individual child. It should not be done without a neurologist and dietitian supervising. The core of the diet is the ratio. The ratio of fats to carbohydrates and protein is based on the age, size, weight, and activity level of the patient. Infants, children younger than 2 years of age and adolescents often receive a 3:1 diet to provide additional protein for growth and increased carbohydrates to improve compliance. Children aged 2–12 years will typically be started on a 4:1 diet. Some studies suggest that a 4:1 ratio diet may be better during the first few months. Once a child is considered a candidate for the diet, a screening evaluation by selected members of the team responsible for implementing the diet is initiated. This screening includes a comprehensive evaluation by the dietitians and nursing staff. The purpose of this evaluation is to educate the family and to assess their ability to maintain the diet. At the same time, the different types of meal plans and foods that the child can eat are discussed, along with their preparation. Children traditionally are fasted for 24 hours prior to the initiation of the diet, beginning after the dinner on the day prior to admission. Occasionally, medically complex children will not be fasted. There are many ketogenic diet centers now that do not fast children, and research indicates that there is no difference in efficacy between fasted and non-fasted children. However, a more rapid reduction of seizures often seen with earlier ketosis can lead to a quicker response . Evidence also suggests that fasting is not the same as the diet in terms of mechanism of action and so may be of additional help. The decision to fast should be individualized and also at the comfort level of the ketogenic diet team. On day 1 of hospitalization, the child is admitted during the 24-hour fast. Fluid intake is encouraged due to the effects of ketosis on thirst. Blood sugar is monitored with finger dextrosticks done every 6 hours. If a child’s blood sugar falls below 40 mg/dL, then it is re-checked every 2 hours. If the child has symptoms of hypoglycemia, or the glucose level falls below 25 mg/dL, 30 milliliters of orange juice is provided and the glucose is checked 1 hour later. Even small children tolerate the fast well, with rare symptomatic hypoglycemia. Daily urine ketones are checked. Ketosis can begin during the fasting period; the resultant nausea and vomiting can occasionally require intravenous hydration fluids that do not contain sugar or carbohydrates. Anticonvulsant medications are often continued during the fasting and initiation period at their previous doses. All medications are examined for carbohydrate content and formulations changed when necessary. There is no evidence that anticonvulsant serum levels are altered by ketosis. Fasting continues until dinner on day 1 of the admission. At this time, half of the calculated diet is provided as an ‘eggnog’ (or ketogenic formula). A ketogenic eggnog looks and tastes like a milkshake and can be sipped, frozen as ice cream, or cooked as scrambled eggs. Excess ketosis at this time, which may cause vomiting, can be relieved with a small amount of orange juice. Once the child begins eating, serum glucose checks are unnecessary and are discontinued. Breakfast and lunch are kept at half-calories; dinner is then given as the first full calorie ketogenic diet meal (with actual foods provided). The child receives a full ketogenic breakfast and lunch and is discharged to home. All children are sent home with prescriptions for urine ketosticks, additional calcium, and a sugar-free, complete vitamin and mineral supplement. Throughout some 3-day hospital stays, classes or educational sessions may be held with physicians, nurses and dietitians to teach the family about the rationale of the ketogenic diet, calculation of meals, nutrition label reading and management of their children during illnesses. The diet can be started as an outpatient and many physician and dietician team centers do this successfully. However, it is important to ensure close proximity of the child to the medical team during the initiation period in case of difficulties. The intense educational process afforded by inpatient initiation may be preferable for some families and ketogenic diet centers. Also, it allows the families time to review the overall medical treatment, spend additional time with their treating neurologist familiarizing him/her with the epilepsy, and also to meet other families starting the diet at the same time (if admissions are done in a group). Most importantly, inpatient initiation allows observation of the child during this big change in metabolism. After discharge, caregivers are instructed to check urine ketones daily; if necessary, the diet is individually adjusted after consultation by telephone or email to maximize seizure control. Weight is monitored by the parents and reported if significantly changed. Periodic laboratory measures are obtained every 3 months in order to monitor for side-effects (for example – lipid profile, electrolytes, anticonvulsant levels, urine calcium/creatinine). The use of a medication called Cytra-K led to a large reduction in kidney stones when provided to all children at one hospital starting the ketogenic diet. Some child neurologists recommend its use for all children on the classic ketogenic diet. Medications may be tapered and discontinued on an individual basis because one of the most common parental reasons for starting the diet is anticonvulsant reduction. However, not all children are able to come off medications. Some child neurologists tell families that the diet and medications are often a “partnership” in seizure control . Children should be seen in clinic every 3 months for the first year, with more frequent visits for infants and medically fragile patients. In addition to the classic ketogenic diet there are three “alternative” dietary therapies that have been developed. The Modified Atkins Diet (MAD) is one of these alternative diets. It is a less restrictive form of the ketogenic diet. Adults and adolescent patients are restricted to 20 grams of carbohydrates per day and children to 15 grams per day. This diet can be easier to tolerate especially in older children and adults who eat a normal diet. In the MAD, there are no restrictions on protein and calories (and the biggest difference is probably the protein compared to the ketogenic diet). Increased fat intake is encouraged to increase ketosis. In a recent review of studies of the MAD, there were 31 studies completed from multiple centers with a total of 423 children and adults enrolled across those studies. Adding everyone together, 47% of patients had a >50% reduction in their seizures, which is comparable to the results found for the ketogenic diet. It is important to understand that for children under the age of 2 years and those who receive formula-only nutrition the classic ketogenic diet is preferable. For older adolescents and adults, the MAD is often a better option due to increased tolerability. 2. The Medium-Chain Triglycerides (MCT) diet has been used since the 1970s. It uses MCT oil to replace the long-chain fatty acids of the traditional ketogenic diet . As MCT oil is highly ketogenic, this allows for more carbohydrates. In a randomized controlled prospective study from London in 2008, the investigators compared the MCT diet to the traditional ketogenic diet. They found that although the traditional ketogenic diet led to higher serum ketone levels, fatigue, and mineral deficiencies, there was no difference in growth, efficacy and overall tolerability . 3. The Low Glycemic Index Treatment (LGIT, uses a liberalized but still low carbohydrate intake, with carbohydrates supplied only in the form of low-glycemic index foods (glycemic index of less than 50 relative to glucose). Of the 20 patients initially studied on this diet in 2005, 10 experienced a greater than 90% reduction in seizure frequency. The LGIT can be started as an outpatient without a fasting period. An updated study in 2009 included 76 children, of which 50% of those remaining on the diet at 3 months had a >50% seizure reduction. When the diet has been discontinued, usually it has been due to lack of success versus inability to tolerate it. Some child neurologists encourage families to give it at least a 3 month trial. If the diet is not helping reduce seizures after 3 months, it is thought that it likely will not help and it can be stopped. Who should start the diet? For many years the diet was not seen as helpful (or safe) in infants. That has changed in recent years and now infants are the fastest-growing population put on the diet. One of the reasons for this rise in popularity has been the widespread use of many ketogenic diet formulas that are easy to use and assure compliance. Also, we know infants can make ketones. The diet is also effective for children with infantile spasms. For this condition, about 70% of children will have seizure reduction with 35% becoming seizure-free. There has been one study using the ketogenic diet as initial treatment for infantile spasms. At the end of 1 month, 8 of 13 (62 percent) infants were seizure-free. Time to spasm freedom was 6.5 days, suggesting that, if the ketogenic diet is used as initial treatment, a 2-week trial period is sufficient to judge efficacy for infantile spasms. Several centers have also reported the benefits of the ketogenic diet given to patients in refractory status epilepticus in ICUs. For some patients, the ketogenic diet is contraindicated and should not be used. Children with acute intermittent porphyria should not be treated with the ketogenic diet because carbohydrate restriction can be harmful in this condition. The ketogenic diet may also worsen some mitochondrial diseases, pyruvate carboxylase deficiency, or organic acidurias. In general a metabolic screen, including urine amino and organic acids, serum amino acids, lactate, pyruvate, and carnitine profile, should be performed before starting the ketogenic diet to make sure children do not have a contraindication to using it. The combination of the use of the ketogenic diet with zonisamide appears to be associated with an increased risk of acidosis. A recent study suggested that children on lamotrigine may not do as well with the ketogenic diet at the same time, but this has not been shown in other studies. Lastly, children who do not have assured, stable nutrition should not be started on the ketogenic diet due to risk of malnutrition and/or weight loss. In many of these patients, the ketogenic diet is only recommended after a gastrostomy tube has been placed. It needs to be emphasized that the diet is a form of medical therapy. As such, although it is relatively safe, it is not without side effects. However, only 5-6% of patients discontinue the diet due to side effects (most stop because it didn’t help) and the vast majority of patients are either treatable or even preventable. It is important for parents to be aware of the side effects to help identify them quickly. The most common side effect encountered is constipation. Many of the children who begin the diet are already prone to this problem because of limited mobility, hypotonia, or spasticity. Constipation can be treated with regular doses of polyethylene glycol, fiber, increased fluids, salt, mineral oil, intermittent pediatric-dose enemas, or magnesium hydroxide . Other more common side effects include hunger, acidosis (during illness), and hypoglycemia (just during the start of the diet). Many children as well can have gastroesophageal reflux, which can be managed with medications. The high fat content decreases gastric emptying, which promotes gastroesophageal reflux. Kidney stones have occurred in about 6 percent of patients and may be increased in younger patients (<3 years of age), and those with hypercalciuria and low urine volume. Oral potassium citrate as a preventative supplement results in urine alkalinization, decreasing the prevalence of kidney stones. Universal supplementation appears to drop the risk of stones to nearly zero. Close attention to growth measurements, laboratory data, and medical supervision is indicated in infants on the ketogenic diet. A prospective cohort study of 237 children, with an average length of follow-up of 308 days, analyzed height and weight measurements over time on the ketogenic diet. A small decrease in height scores was observed in the first 6 months, with bigger changes by 2 years. There was a drop in weight in the first 3 months; after this, the weight remained constant in children who started the diet below the 50th percentile for their weight, while it continued to decrease in children starting above the 50th percentile. Very young children (0–2 years) grew poorly on the diet, while older children (7–10 years) grew almost normally. Recent studies of children who discontinued the diet suggest that growth will catch up once the diet is discontinued. Several laboratory abnormalities have been reported in children on the ketogenic diet, although none has been found to have clinical significance. Patients on the ketogenic diet are in a chronic acidotic state, putting them at risk for osteopenia. Some studies have shown a progressive loss of bone mineral content, resulting in osteopenia and osteoporosis; this loss occurred with ketogenic diet treatment despite improved serum vitamin D concentrations. Serum cholesterol and triglycerides may increase, especially during the first 6 months. These levels may even out by 6 months, then decline often back to normal values. It is rare to stop the diet due to a cholesterol problem, especially after 1-2 years of use. Adjustments to the diet (e.g., increased protein and polyunsaturated fat) can be made in children with significantly high cholesterol and triglyceride concentrations. Changes in the serum carnitine concentrations have also been described. Carnitine status should be monitored, although most children do not need supplementation. Supplementation with magnesium, selenium, zinc, calcium, vitamin D, and B vitamins is recommended to avoid deficiency-related disease states. Serious complications of the ketogenic diet are rare and have only been described in single reports, including those of Fanconi’s renal tubular acidosis (in co-treatment with valproate), severe hypoproteinemia, marked increase in liver function tests (in co-treatment with valproate), cardiomyopathy, prolonged QTc, acute hemorrhagic pancreatitis, basal ganglia injury, scurvy, lipoid pneumonia, and propofol infusion syndrome. The ketogenic diet field is moving in the direction of adding vitamins and supplements empirically to the regimen of all children on the ketogenic diet to prevent adverse effects before they occur. Although not mentioned in the 2009 consensus statement, many now advocate for universal treatment with oral citrates, selenium, extra vitamin D, laxatives, and even antacids . Several nutrition companies have created products which are designed for ketogenic diet patients. In children who can be successfully withdrawn from anti-convulsant therapy and are seizure-free for 2 years on the ketogenic diet (about 10 percent of treated children), an EEG is repeated and the ketogenic diet is slowly withdrawn. However, the diet is often stopped earlier if not successful. Similarly, after 2 years in children with continued seizures, most ketogenic diet centers will at least try to have the children come off the diet and see if it is no longer necessary for control. A study of 183 children in whom the diet was discontinued determined that the speed of the wean did not matter: children tapered over several weeks did just as well as those in whom the diet was stopped more slowly. Children in whom there was a good, but not complete seizure reduction with the diet (50-99% seizure reduction) were at highest risk for seizure worsening with the diet discontinuation . Should seizures worsen, many of these families elect to continue a low-carbohydrate diet versus new anticonvulsants . Some child neurologists opt to stop the diet over 4-6 weeks with close email contact. Bergqvist AGC, Schall JI, Gallagher PR, et al. Fasting versus gradual initiation of the ketogenic diet: a prospective, randomized clinical trial of efficacy. Epilepsia 2005;45:1810. Caraballo RH, Cersosimo RO, Sakr D, et al. Ketogenic diet in patients with Dravet Syndrome. Epilepsia 2005;46:1539. Freeman JM, Vining EPG. Seizures decrease rapidly after fasting: preliminary studies of the ketogenic diet. Arch Pediatr Adolesc Med 1999;153:946. Freeman JM, Vining EPG, Pillas DJ, et al. The efficacy of the ketogenic diet – 1998: a prospective evaluation of intervention in 150 children. Pediatrics 1998a;102:1358. Kang HC, Chung DE, Kim DW, et al. Early and late-onset complications of the ketogenic diet for intractable epilepsy. Epilepsia 2004;45:1116. Kossoff EH, Cervenka MC, Henry BJ, Haney CA, Turner Z. A decade of the Modified Atkins Diet (2003-2013): Results, Insights, and Future Directions. Epilepsy Behav 2013;29(3):437-442. Kossoff EH, Hedderick EF, Turner Z, et al. A case control evaluation of the ketogenic diet versus ACTH for new-onset infantile spasms. Epilepsia 2008;49(9):1504-1509. Kossoff EH, Laux LC, Blackford R, et al. When do seizures usually improve with the ketogenic diet? Epilepsia 2008;49(2):329-333. Kossoff EH, Turner Z, Doerrer SC, Cervenka MC, Henry BJ. The Ketogenic and Modified Atkins Diets: Treatments for Epilepsy and Other Disorders. 6th ed. New York: Demos, 2016. Kossoff EH, Zupec-Kania BA, Amark PE, et al. Optimal clinical management of children receiving the ketogenic diet: recommendations of the international ketogenic diet study group. Epilepsia 2009;50:304-317. Neal EG, Chaffe HM, Schwartz RH, et al. A randomized trial of classical and medium chain triglyceride ketogenic diets in the treatment of childhood epilepsy. Epilepsia 2009;50:1109.